This month, we caught up with ABC8 News meteorologist Matt DiNardo. 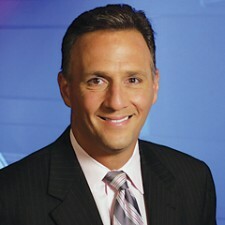 This broadcast weather expert, husband, and father was born and raised in Long Island, New York. 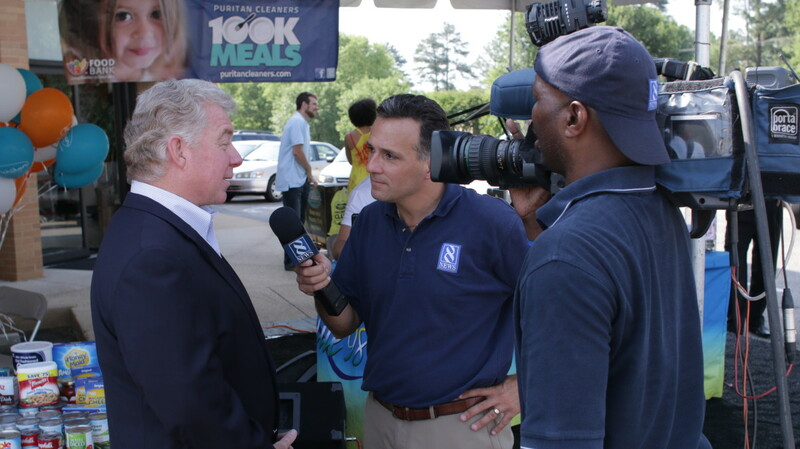 Today, he’s at the weather desk every morning and also hosts Showcase Richmond, a community spotlight segment which airs a few times during the day and on weekends on WRIC-TV. Although Matt will tell you he’s a “genuine heat freak,” as a young boy it was the New England blizzard of 1978 that first piqued his interest in weather when it laid a twenty-nine inch blanket of snow over his hometown. But it was another extreme weather event, Hurricane Gloria in 1985, that sealed the deal for Matt. the American Cancer Society’s Cure by Design. Keep reading to learn more fun facts about one of Richmond’s most popular (and generous) meteorologists – Matt DiNardo. I appreciate the beauty of the mountains, but having grown up on Long Island, and spending many days and weekends on Fire Island, the Hamptons, and Montauk, the beach will always win out for me. Dogs have always been part of my family growing up. In the past twenty years I have had two golden retrievers, which I rescued. Muffin and Nikko, and they lived to fifteen and fourteen respectively. I miss them every day. It’s actually a book that a viewer gave me about Alzheimer’s disease. It’s such a sad and debilitating disease. you want to grow on trees? Manicotti! I am of Italian heritage – and you have your wheat, dairy, and fruit (tomato sauce, right?) all in one. I am good with that. gadget you would want with you? I know I would not want a cell phone, tablet, laptop. I would want to be completely disconnected. I think my electronic toothbrush. My wife and I saw Wicked, when it came back this year. Loved it! Before that, it was Jersey Boys, another fantastic show. your family wouldn’t miss in RVA? This one will surprise some, but without question, NASCAR at RIR! I first went in 2006 and I am hooked. It’s riveting – the sound, the speed, the people-watching. I go to both the spring and fall races and I am always in awe. to spend a rainy Sunday? I think of things to do around the house. This goes directly back to the first question – the beach! So whether it’s traveling to an island or going to the Outer Banks, Sandbridge, or the Delaware shore, nothing beats the beach. I am naturally up. I wake up and I am ready to go. That is always the big question though from viewers, “How are you so awake when I tune in at four-thirty in the morning? You must drink tons of coffee!” While the truth is, yes, I get a coffee every morning, I only start sipping it right when we go on the air. In summer, that’s easy – if we can’t get to the beach, then a day at the pool is fine by me. I enjoy the sun, playing with my daughter in the pool. It’s all good. I am very humbled every time I hear a viewer say, “I wake up to you every morning!” or “I watch you all the time.” Those are very powerful words. You have a choice to wake up and listen to radio, watch so many dozens of TV channels, and you choose me – and my forecast. That is an amazing feeling from where I sit. So, I want my viewers to feel like they know me and I want to know them. It is probably why I am very open and honest on the air about my life and my family life.